They are man’s best friend, our one and only confidant, and the reason behind all the brown patches in our lawns. With the surplus of dog lovers throughout the Denver area, it is normal to come across dog spots all over residential and commercial lawns. Unfortunately, there are no quick fixes or chemical treatments that will restore your lawn with the snap of our fingers. However, here at Lawn Doctor, we do provide services through our classic lawn care program that will provide the preventive protection and solutions needed to begin the process of bringing your lawn back to life, no seeding required. With dog spots in Denver, it is important for us to understand the root of the problem before we can take any preventive measures. Dog spots are yellow, brownish deadened areas found in lawns where dogs have urinated, or those spots can also be known as dog urine grass. Our lawns contain nitrogen in the soil, there are also high amounts of nitrogen in dog urine, once combined an excess of nitrogen has been created causing the grass to ultimately burn and then die. 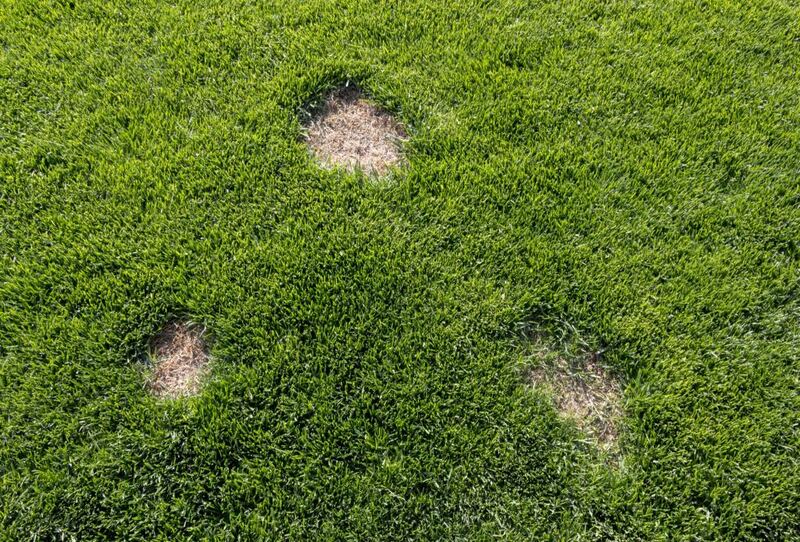 There are opportunities to combat the dreaded dog spot, it is just important that the lawn care treatment remains consistent for there to be results. To begin, longer watering cycles focused on urine-impacted areas is one of the surest ways to eliminate spots, in addition to quality feeding and mowing. However, not everyone has the time to dedicate to that task. Another alternative would be ensuring that your dog is drinking enough water, because with more water comes diluted urine. This can be achieved by coating their food in tomato juice or using vet-approved salt additives, however it is always important to check with your vet first. Here at Lawn Doctor, we also provide Denver with a Deep Green Power Boost treatment that will bring your lawn back to life. The treatment works as a dog spot repair by balancing out the pH levels of the soil and eliminating the extra nitrogen that was causing the grass to burn. We love our dogs and we want them to roll around in the best grass possible. Talk to us today and see what we can do for you!